Doctor's house on fire at Dehiwala: A fire had broken out in the house before too -- if valve was not dropped ... fire could have been extinguished before! 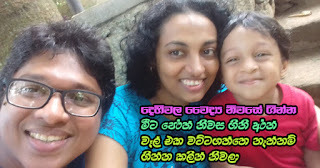 Further information concerning incident of fire which broke out in Bellanwila, Dehiwala recently bringing death to a lady doctor keeps streaming in. 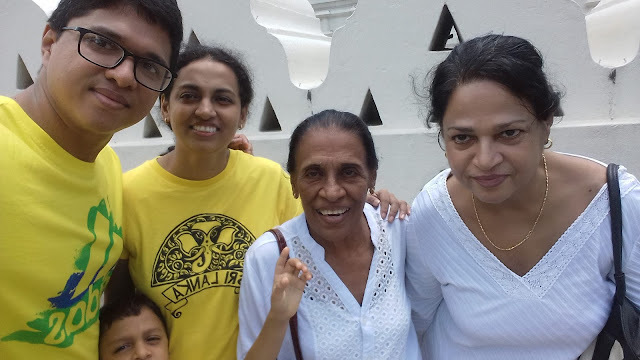 Neighbours have provided information about deceased Mrs. Vidarshi Dias who was subjected to great affection by neighbours as 'raththaran nona' of Bellanwila and the family concerned. because of the fatigue they had been resting and thus fallen asleep in the afternoon hours. It was unfortunately at that very time the fire has broken out. In the meantime the fire rescue team as a result of a blemish of dropping the valve used for their duties, the procedure of extinguishing the fire was delayed and as a consequence the fire has spread further and further and thus delayed in having had to approach the doctor-couple and child the opportunity of foiling the incident of death was foiled, the neigbours explained. Mrs. Padma Jayasingha who resides opposite this house explained the incident as follows: "It is Vidarshi dostara nona, dostara mahatthaya, son and doctor's mother who lives here in this house. I live in the house in the house next door. Then a mother in front of the road shouted "the doctor's house is on fire!" When I jumped out of the house and looked the house concerned was full of ablaze. The doctor's mother rushed out and shouted "my children will get burnt ... come and rescue them!" Later I took her to our home and made her sit down. After that people from the environment and those from the rescue team of the fire brigade went and removed sheets of doctor's house and climbed to the top. The fire was so strong. After that these people had broken sheets of the roof and descended on the bathroom where the the lady doctor, that doctor and the child were. After that it was the small boy that they managed to take out first. it was when the son was being loaded into the emergency ambulance that they said that the mother was inside the house ... as if in an unconscious tone. Just then the the child was taken to hospital. After the lady doctor was taken out. She was unconscious by then. Later the doctor was taken out. Subsequently both of them were dispatched to hospital from the police jeep. Aney god ... I can't understand how this happened! These people were those who lived by themselves causing no hurt to anybody. Why does a tragedy like this fall on an innocent family like this!" Vidarshi Dias the pregnant lady doctor who died most unfortunately was a past pupil of Panadura Sri Sumangala Balika Vidyalaya. she later secured the medical degree from Colombo Medical College. As time passed by she married Dr. Anuranga Dias and had gone into occupation at his residence at Bellanwila. The two of them had commemorated the fifth birthday of their only son Arya Dias last 31st. On the other hand the 63 year old mother of Dr. Anuranga was in an ailing condition. This house which caught fire is situated at the juncture which joins Sri Somaratna Mawatha from Bellanwila Vihara Road. 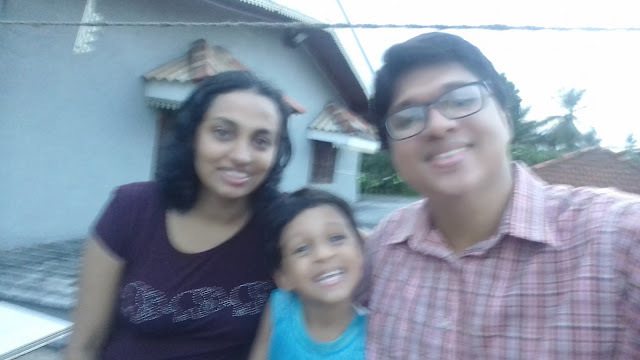 Lady doctor Vidarshi had served Horana Basic Hospital and after the birth of son Arya, she had left her job and had carried on a private medical centre with her husband on the ground floor. Mr. Lalith Weerasingha, a person living down the area had this to say: "Though we tried to go inside the house to rescue dostara nona, mahatthaya and child we couldn't do so at once because of the ferocity of the fire. Later we got on top of the roof dosthara nona from the house on the other side, together with people of the fire rescue team. Now we couldn't find where these people were. After that we broke sheets of the roof from the side and jumped inside. We then saw the three of them embracing each other. They looked like they were unconscious. A water tap and a shower kept running ... in order to escape that smoke. The other thing is that the first fire rescue vehicle had dropped the hose valve somewhere and because of that it was difficult to control the fire. It was from the other three vehicles that came it was possible to extinguish this great blaze. But the entire house of the dosthara nona was reduced to ashes". The postmortem was held on 7th and the chief medical officer of the hospital Dr. P.B. Dassanaika said: "There were no burnt injuries on the body of this lady doctor. We suspect that the cause for this death was breathing poisonous gas. Whatever it is, we would be sending parts of the lady doctor's body to the government analyst. We will issue the specific cause of death from the decision so received. The 5 month foetus of the lady doctor too had died. Smoke such as carbon monoxide which emanated when items such as plastic had caught fire had circulated right round. The body of deceased lady doctor Vidarshi Dias was undertaken by her brother and her final rites was conducted at Panadura amidst sorrow of a large gathering on Sunday (9). Dr. Anuranga and son Arya is still under care of the intensive care unit of Kalubowila General Hospital. Dr. Anuranga is is unaware that his wife, lady doctor has left him. on the other hand, son Arya is not in a position to understand that his beloved mother has left both him and his father. This same house had caught fire and destroyed 20 years before, it was revealed. In the same way 4 years before assets in the house of this doctor-couple had been robbed by some outsiders, it was revealed, police say. Though police suspect the reason for this fire is an instance of sabotage, investigations in this connection are still not over.